Children who snore or who have other sleep-related breathing problems are more likely to have behavioral problems years later, according to a large, population-based study in the April 2012 Pediatrics. The study, “Sleep-Disordered Breathing in a Population-Based Cohort: Behavioral Outcomes at 4 and 7 Years,” published online March 5, asked parents in England about their children’s snoring, mouth breathing, observed apnea and behavior, starting at age 6 months and periodically until age 7 years. By age 4, children with sleep-disordered breathing were 20 percent to 60 percent more likely to have behavioral difficulties. By age 7, they were 40 percent to 100 percent more likely. The worst symptoms were associated with the worst behavioral outcomes. 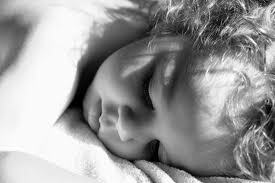 Study authors conclude that sleep-disordered breathing early in life has strong effects on behavior later in childhood, possibly because of increased vulnerability during a critical period of brain development when there is the greatest need for sleep. The study findings suggest that these symptoms may require attention as early as the first year of life.